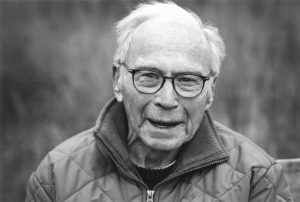 GEORGE HERBERT FRANKLIN “FRANK” UREN, beloved husband of Elizabeth “Liz” Uren, passed away peacefully and surrounded by his family at the Chinook Regional Hospital on Monday, February 4, 2019 at the age of 92 years. Along with his wife, he is lovingly remembered by his children: Daphne (Daniel Chenard) Gugala, Judi (Murray) Paddon, Nancy (Tony) Bowman and Philip (Terri) Uren; eight grandchildren: Hillari (Joel) Blaylock, Ethan Paddon, Kye, Noël, Petra, Geneva, Gwyneth and Gideon Bowman; and two great-granddaughters, Sophia and Izabella Blaylock. Frank is also remembered by Liz’s family whom he loved as his own: Kurt (Sharon) and Patrick (Marija) Veer, Nicole (Keith) Kawawaki, Jeff (Sandra) Veer and Dayna Veer; eight grandchildren: Nicolas, Maxwell and Natasha Veer, Jordan (Jason) Dement, Remick and Easton Kawawaki, and Kristen and Alexander Veer as well as one great-grandson, Moses Dement. He was predeceased by his first wife, Gwen and his granddaughter, Madeline. Frank was born on November 22, 1926 in Bremner, AB and grew up near Edmonton. He graduated from RCMP Depot in 1950 then met and married Gwen in 1953. Frank was proud of his rewarding career that took him and his family to many communities over the years. In 1972 they settled in Lethbridge and sadly, in 2000, Gwen passed away. After some time, Frank met Liz and they were married in 2002. Frank showed unconditional love for his family and was very involved in their lives. His faith was paramount and was evident in his involvement in St. Augustine’s Anglican Church and First Baptist Church. The family has lost a wonderful husband, father and grandfather and those who knew him have lost a loyal and caring friend. Frank will be dearly missed. A Memorial Service will be held at the LETHBRIDGE FIRST BAPTIST CHURCH, 1614-5th Ave. South, Lethbridge, AB, on Saturday, February 9th, 2019 at 11:00 A.M. with Pastor Dr. Bruce Martin and Canon James Robinson officiating, with a special Prayer by Rev. Stephen Reynolds. In memory of Frank, donations may be made to L’Arche Association of Lethbridge, 240-12C Street North, Lethbridge, AB, T1H 2M7. Thinking of you all. Frank was a truly wonderful very kind man and a great story teller. I Loved him dearly and will miss him. Much love to you Liz, your family and Frank’s family.